Pluribus Networks is gaining prominence in the emerging software-defined networking (SDN) space, winning another in a string of accolades shortly after announcing massive new funding. 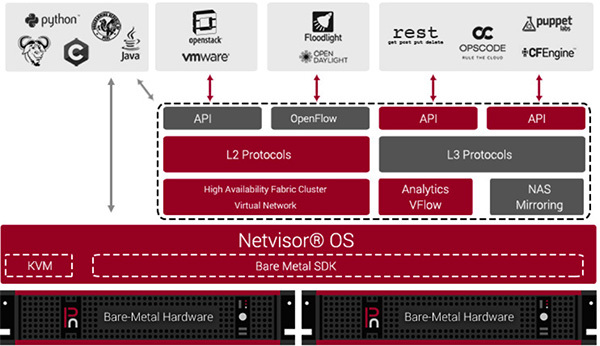 The company claims its Netvisor is the first distributed network hypervisor OS, packaging compute, network, storage and virtualization services into an open, programmable approach on bare-metal hardware. That approach has garnered numerous industry awards and acclamations, with the most recent being the company's announcement that it has been recognized as a Virtualization Trailblazer in the 2014 Tech Trailblazer Awards competition. This recognition comes after last week's announcement that the nearly 5 year-old company raised $50 million in Series D financing, bringing total funding to $95 million, which it said makes it "the best-funded SDN company in the industry." 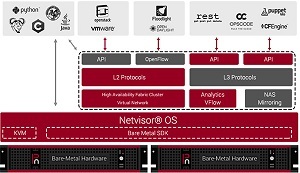 Last month, Pluribus announced the latest release of its flagship hypervisor, Netvisor 2.2. 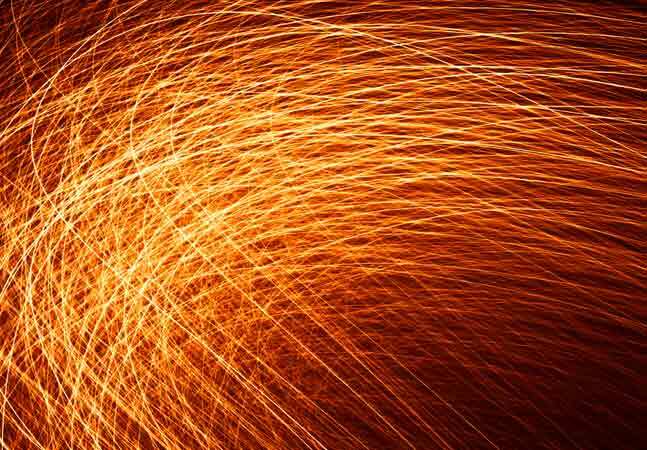 "The new release enhances enterprises' ability to support complex application environments via an open architecture that leverages Netvisor's bare-metal vFlow programmability and multi-threaded APIs," the company said in a statement. "This results in ASIC-level network performance with full application-level analytics without the need for expensive, complex redesigns of 'brownfield' deployments." A brownfield deployment is building out an existing system, as opposed to a greenfield deployment that involves brand-new systems where none previously existed. Company exec Dave Ginsburg noted that Netvisor runs on multiple hardware platforms, including its own F64 network computing appliance, the Super Micro Computer Inc. MicroBlade chassis, with Open Compute Project (OCP) compliance support coming. Ginsburg explained how his company's approach differs from that of more traditional alternatives in a new YouTube video that the company said helped it earn the Tech Trailblazer award. "For the past 20 years, people have configured routers and switches box-by-box via the CLI. This results in additional management overhead, and this results in opportunity for error. What we've done, for the first time, is created a cluster -- a fabric cluster -- between our server switches. This gives you the ability to troubleshoot system-wide. This gives you visibility into what's happening to the fabric across each and every node from a single point of management." Meanwhile, company exec Sunay Tripathi authored a blog post announcing the new funding in which he compared the company's affect on traditional networking with the affect of the original Apple iPhone launch that transformed the personal communications industry. He also promised more to come. "We are currently starting beta tests of Netvisor Open Fabric Virtualization, a service that offloads VXLAN tunnel processing overhead from host machines back onto the network, where we allow the tunnels to move to switches and encapsulation rules are created to switch hardware on demand," he said. "On a larger scale, we also see large-scale SDN reaching a tipping point," Tripathi said. "Networking will finally arrive in the 21st Century."